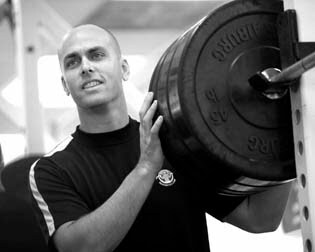 Dr. Chad Moreau is a strength & conditioning trainer for all levels of hockey from the NHL down, a chiropractor/soft tissue specialist, and the owner of HockeyOT.com, a website where hockey players all over the world can obtain their own unique tailored training routines. He has worked with professional players from all over the league, including Stanley Cup champions Dustin Brown, Jonathan Quick and Anze Kopitar, and his brother Ethan Moreau. Moreau sat down with ATLX to talk off-ice training, injury prevention, online community HockeyOT.com, and the unique advantage of training from a doctor’s perspective. ATLX: You’re an NHL strength and conditioning coach, a doctor, and the owner of HockeyOT.com, so let’s discuss each of these things individually and let’s start with your training of these NHL players. Can you give me an overview of what you do with them? Moreau: Every player’s workout is different because even though they’re all NHL hockey players and they all play to win games and ultimately the Stanley Cup, the thing about these guys is they’re all different shapes and sizes, they all have different physical attributes and they’re all working on different goals. The pure scorers who are highly talented fast players with good hands bring a different physicality to off-ice training than big defensemen who play a more physical role on a team. And then there are goaltenders, who are even more specialized. They have a different physical toolbox than the forwards and the defensemen do. I look at each player and design a program based on what I see their game is. There’s such a high injury potential in hockey and a number of these players have issues that they’re dealing with physically, whether it’s a previous surgery or an injury that they’ve felt throughout the season that they want to deal with and rehab. That’s fun for me because half of my business is healthcare-related from a chiropractic/soft tissue injury perspective, so I feel like I’m in a good position to really help these players with those injuries that can hinder their performance on the ice. ATLX: Tell me about the history of your training and why you became a strength and conditioning coach in the first place? Moreau: I started off as a hockey player as a kid. Growing up, my brother was a hockey player too – a very good one who ended up playing in the NHL. The Chicago Blackhawks drafted him in 1994. At that time I was actually a track and field athlete at the University of South Carolina, so we’d get together in the summer time and train together. His initial thoughts on training were that he should do a lot of time on the stationary bike, which is pretty typical for a hockey player when he’s not on the ice. They spend a lot of time on a stationary bike to work on their conditioning and get themselves in shape for training camp. I was doing a lot of strength training – different Olympic lifts, sprint work on the track, things like that. He was drafted by the Blackhawks, playing in their international hockey league in Indianapolis and waiting for a shot at making the club in Chicago. He told me he needed to get faster, needed to get stronger. So I said he should try some of the training that I was doing from a track and field perspective, and he never really looked back from there. He really enjoyed training. He felt quite a bit stronger and quite a bit faster. He went from being a 205 pound hockey player to about 220 pounds – it was all an increase in lean body mass. We changed his game. That was the start. It’s funny because a lot number of strength and conditioning guys will start with younger athletes and work their way up. I started with an NHL player and worked my way backwards. I started training guys who worked with him, would see his training program and they’d like it, so I just began adding more guys to my training group. I was working with the Long Beach Ice Dogs out here in Southern California from 1999 until 2007. In the meantime, my brother got traded to the Edmonton Oilers in 2003. As an Oiler he’d go into to camp in really good shape, and I took a lot of pride in that and in putting together his off season programs. One day in 2005 I got a call. The Edmonton Oilers’ head coach at the time said, “Listen, your brother comes to camp in great shape – better shape than our other players. This is an issue for us, so would you be interested in coming out to Edmonton and taking a look at what you could do to help our team?” I ended up getting a job with the Oilers in 2005 and worked with them until 2009. I had a couple different pro jobs going, but again the interesting thing is that I was working backwards. Because I was working with these high-level players and NHL players, the younger players – junior players and even youth players like pee-wee and bantam players here in Los Angeles – started to contact me. They asked if I could do training programs for them. I had to work backwards from a really high level structured program for pro players to these younger athletes. And the reality was, as I was trying to build programs for younger athletes, HockeyOT.com came to fruition. Building these programs was very time consuming. I was talking with my brother and colleague, Ethan, one day about how we could automate a system that would design programs as well as a trainer for anybody all over the world. So we got together with a couple smart Internet guys and eventually, over a period of 2 or 3 years, we came up with the design for HockeyOT.com, which made training programming for athletes quite a bit easier and accessible. ATLX: HockeyOT is basically an online training community, right? Players can compare their progress and what they’re doing with others using the system as well, which serves as, essentially, a virtual trainer? Moreau: Absolutely. Players can go to the website and get a professionally designed training program that’s tailored specifically to them. That’s a big deal for what I do. I don’t give anybody generic programs. Everything is tailored to the specific athlete. I love testing sequences for athletes because I like to see where athletes are and figure out where their weak links are. If you can find an athlete’s weak links and you can find a player’s weaknesses physically, you can attack those and make him/her a better athlete. Usually it’s the better all-around athletes who are more successful on the ice. With this system, every program is customized and tailored for each individual athlete and it’s all based on the testing sequence. We have our own testing sequence that we use for the HockeyOT site, and it’s pretty cool because it gives us a lot of data on the players that we train. We don’t get to meet all of these players. We have players in Europe, Australia, Asia, and all over North America who are using the site. The testing sequencing we use is key because we don’t get to see these athletes first-hand. It tells us what these athletes are doing, where they’re good, and what their weaknesses are. It’s a smart program. It can look at where their weaknesses are and make suggestions about what fitness goals they should pick and what they should work on from week to week. It’s a 16-week program designed to have a different focus every four weeks. Our athletes can go in-season or off-season with HockeyOT, and their programs are all based on their feedback, so what they put into the system changes the program. ATLX: Is HockeyOT applicable to all athletic levels of hockey players? Moreau: It is. We focus on peewee players all the way up to pros and even adult rec players. We have some guys who are 50, 55 who are using the program. The youngest players that use HockeyOT.com are 10 years old. ATLX: Has HockeyOT seen a lot of success with the athletes who use it? Are they monitoring and tracking their progress and seeing results? Moreau: We get awesome feedback from the players who use the site. It’s always awesome when you get emails and phone calls from people who say, “Hey listen, I started using the site and my game’s totally changed, I feel so much better on the ice.” Obviously we focus on pro guys because they’re so remarkable, and when a pro guy does well and ends up winning something, whether it’s an Olympic medal or the Stanley Cup, we feel good about that because that’s the highest level of success in the hockey world. But the reality is, I get just as excited with the younger players. No one really thinks of Los Angeles as a hockey hotbed, but I train a bunch of these local teams. I trained the 16 AAA team for the L.A. Junior Kings this past season and they ended up 3rd at US Nationals, and I trained the 18 AAA team for the Junior Kings and they placed 2nd at Nationals. So it’s so cool to see these teams do so well on a national level. When you think of youth hockey, you think of places like Minnesota, you don’t think about L.A, but here are two teams from the Junior Kings who finished 2nd and 3rd at Nationals. That’s pretty respectable for a Southern California team. And some of the teams I’m training locally here in Los Angeles actually have a legitimate shot at winning Nationals this year, so we’ll see how that goes. It’s all about getting these athletes focused, not just improving their game and strategy on the ice, but also improving the little things off the ice that can make these athletes more successful and potentially win them a national championship. ATLX: A lot of people, when they think of Hockey, don’t even consider the off-ice work that these guys do. How important is off-ice versus on-ice practice and training? Moreau: Oh I think that, especially during the off-season, it’s so key. This morning I worked with Dustin Brown from the L.A. Kings. Here’s a guy who’s a really high-level player, took home the Stanley Cup last year and was the captain of the Stanley Cup winning team, so obviously you can’t get much better than that. But here’s a guy who’s just working so hard on all the little things right now. Who knows what’s going to happen with the NHL as far as the lockout, so they’re having a longer off-season than they want to have, but this is a guy who just had a two-hour workout where he was extremely focused the whole time on all these little details – working on core stability, working on neutral spine position, working on hip position. It’s not about just doing the exercises, but it’s about doing the exercises right. And it’s one of those things that we talk about a lot during workouts – how focused you have to be to do this stuff correctly. Anybody can go through the motions and run through workouts, but it takes such a high-level of concentration and athleticism to focus on this off-ice strategy. Like I was saying with Dustin today, if you do this stuff correctly you get yourself in the right position enough times and it becomes automatic. It kind of goes into autopilot. When you take this strategy onto this ice it puts you in a better position, and when you’re in a better position, the chances of you staying healthy and injury-free become higher. This is a guy who I don’t think has missed a game in five years. So if you look at what he’s done to prepare himself for battle, so to speak, it’s working for him. He’s kind of injury-proofed himself. And here’s a guy who leads the NHL in hits, or at least he’s in the top two or three. So it’s not like he’s avoiding contact on the ice. He’s a very physical player and a very good player. But, again it’s the attention to detail, the little things he does off the ice that are really paying dividends for him and keeping him healthy. And then, of course, we have the success of the Kings last season, and that provides the reward to stay motivated and keep at it. ATLX: When you’re training these guys obviously some things are standard across the board, everyone works on certain conditioning, certain cardio, etc. But how position-specific does your training get? Moreau: I look at position for sure. You have your goal scorers, you have your big tough defensemen who play really different games, so I strategize the workouts differently for those two position players. Then of course the goaltender is even more specialized. They don’t do the skating that the other players do, but their positioning and their ability to move laterally is so important. But I think even more important than position is the athlete’s physical attributes. There aren’t too many athletes I train who don’t come with some kind of weak link. They always have these little nuances in their physical structure that, when you push hard enough, will break. As a strength and conditioning coach, as a chiropractor, as a soft-tissue specialist like myself, I’m always trying to prevent my athletes from becoming my patients. That’s very important to me. We’ll do maintenance care during the season to keep guys healthy, but I think if I can structure a really intelligent training program for these athletes, I can keep them healthier. That’s the key to understanding the athletes for me. And that’s the hardest part of training elite athletes – really understanding who’s in front of you and what you’re going to do about it. Anybody can look at YouTube and find some exercise videos and run someone through a program, that’s not the difficult part. The difficult part is deciding which exercises apply to which athletes and how they’re going to do them. Then how detailed they are going to be on doing these exercises correctly. To me, that’s the biggest thing I do with athletes – making sure that what they do is very specific, is done with correct posture and with correct body lean and body angles. There are different ways you can do the same exercise and make it way more effective, and that’s where being very specific with my athletes is important. They have to understand what I’m looking for. When I’m training an athlete I usually end up losing my voice by the end of the workout, not because I’m yelling at them, but because I’m talking nonstop, giving them pointers, moving their body, changing their direction from leaning this way to that way in order to get that position that I’m looking for. That ultimate power position or stability position. So for my athletes there’s constant communication going on at all times. ATLX: Do you do a lot of circuit training? Moreau: We use circuit training throughout the year at different times. I love circuit training because, as a coach, that’s where you can actually get a high intensity level with the athletes. Crank up the music and get them going. We don’t have to focus as much on technique. We use circuit training a lot in the off-season. With my pro guys we do circuit training early in the off-season to get them back into the swing of things. A lot of times they’ve just come back from two to four weeks of vacation time, so usually their body fat is a little higher than they want it to be because they’ve let go a little bit. So we use circuit training to fire up their metabolism and get them really motivated to start training again through the off-season. We use circuit training at different times during the year depending on the athlete and the schedule they have to follow come September. Most teams start their season in September or October, so the best time for circuit training is in August. A lot of times with a pro, junior or college player before they go back to their team design, we do circuit training because of the intensity level. We can ratchet up and get them ready for the season again. Circuits are fun – it’s really tough work for athletes but usually they find it fun because circuit workouts are shorter, high-energy and a little less specific. ATLX: Could you walk me through a typical training session during the off-season with these NHL guys? Moreau: I’ll walk you through what we did today. We started with shoulder-hip mobility work. The very first thing we do is make the shoulders move and make the hips move. We have a bunch of different designs for how the shoulders and hips should move, but it’s always based on a neutral spine, stable core pattern. A lot of athletes don’t quite get what core stability is, but I think we actually understand it and we make sure that our athletes get it when they’re training with us. Our workouts always start there. We do all the things that I consider injury-prevention strategies right up front, then we move into more of a dynamic workout. We’ll start moving down the track or the field or wherever we’re training, and start incorporating a lot of different functional movement patterns. Function is a big thing. Dustin Brown said to me today, “Man, this functional training is really difficult.” To do anything right is always hard work. The dynamic patterns are always really functional. They usually involve some sort of a reach, crossing midlines, they always involve stable trunk position, and they always involve a lot of shoulder mobility. Hockey players are typically very tight through their shoulders and their hips, so they can really benefit from a lot of functional opening patterns. Even yoga is good for hockey guys because they don’t usually have a lot of flexibility through their hips and they need to work on it. So we incorporate a lot of lengthening patterns through the hips as we run through workouts. And then we ratchet it up. I love doing medicine ball throws. They’re very good for hockey players. There’s a lot of core power rotation in hockey, obviously the slap-shot would be the prime example of how much core power and drive there is in hockey. So we do a lot of med ball throws from different angles. It’s fantastic – we can throw on the walls, we can throw down the field or track and really control the weight and force. We do some agility ladder work, which is more traditional for football training, but I like using it with my guys because I like fast feet for hockey players. Most players benefit from having faster feet, so we’ll do a lot of agility patterns on the ladder. I’ll give them a footwork pattern to work on, I’ll ask them to stay low, and if they’re not low they have problems because I’ll take one of those big stability balls and I’ll bump into them, play contact on the ladder, and they have to try to keep their pattern going on the ladder while I’m making consistent contact with them. Of course, they don’t really appreciate having me bump into them! But as a hockey player, its always fun to see them get a little bit ticked off. The reality is that this is the stuff they have to do on the ice anyhow. There’s always somebody in there trying to knock them off their stride, so I like to really incorporate those strategies while we’re running through a workout. Then we’ll get into some lifting patterns. I love doing dead lift patterns, I like doing front squat patterns, but we work our own things into the lifts. A lot of times we’ll work from the bottom up in a squat because hockey is one of those sports where they’re stuck in their hip flexion and knee flexion a lot and they need to explode out of that flexion position. When you’re training a basketball player or a volleyball player it’s a lot different than training a hockey player because basketball and volleyball are both top-down load sports, whereas hockey is more of a bottom-up load. So dead lifts and squats from that bottom-up pattern are very difficult because the legs are under constant load. But that’s necessary for the sport of hockey. Most of the hockey shifts only last 35-45 seconds because they’re always in that leg-loaded position and eventually they’re going to run out of energy and have to leave the ice for the next shift of players. I use those metabolic principles when I’m training my players. It makes the workouts tough because we’re not just going through the motions with these exercises, we’re always thinking about the strategy of hockey and how it would be incorporated while we do a lot of these lifts. A lot of our players have nice physiques as far as upper body appearance, but a lot of that is from med ball work and a lot of the holding they do, like in a dead lift where they have to grip the bar with a strong hand position. The reality is we don’t really do a ton of upper bodywork. Take an exercise like the bench press, for example. It isn’t a bad exercise, but I don’t see much of an application from bench press to hockey. We may have done bench press two times all summer. Usually we do it because some of the players get tested on their bench press when they go back to their team training, so we give them a chance to know where they’re at. They do so much pushing and pulling during the workouts we do that they end up getting shoulder, chest and upper body loading as we’re working the trunk and the hips. ATLX: You work here in Los Angeles with some of the Kings players. Do players come from other places to train with you during the off-season? Moreau: Yes, we get guys coming in from different areas. The reality is that now a lot of players end up working with their team strength and conditioning coaches because teams now are smart enough to make their team strength and conditioning coach available during the off-season. But there are actually quite a few NHL players who have been drafted from this area. We had Jonathan Blum, Taylor Aranson (Nashville Predators) and Adam Burish (San Jose Sharks) training with us in the summertime. Then of course we had one of the guys who’s been working with us a long time, Sheldon Souray, who was in Minnesota last year, but he decided to go to Anaheim so he’ll be more local. Then we have some of the Kings guys with us. We get guys from different teams who actually make this area their home in the summertime because it’s such a beautiful place to live. When I was working with the Oilers it was a little bit different. Because I was their strength and conditioning coach, guys would come down from all over and stay in LA for a month or two and train with me. I’d get guys coming in to get some team camaraderie in the off-season, plus it’s L.A. so you don’t have to twist their arm too far to get them to come here for a month and do some training. An advantage we have in L.A. is guys love being out here, so it’s not a tough sell. So we do get some players from all over, but a lot of my market is local college and junior players – some of these guys who are hoping to play in the NHL in a couple of years. I love working with them because there’s such a huge upside – they have so much room for improvement and they come into their workouts with no preconceived notions on what they need to do. They just look at me and say, we know you’re training these NHL guys so what do we need to do? I can design a great program for those guys to help them take off and get to that next level. ATLX: Obviously the Kings took home the Stanley Cup this year. How did that feel to be involved in that awesome success that a lot of people didn’t see coming? Moreau: Well I don’t work for the Kings organization, I’m not on staff with them, but I do some consulting work for those guys and I get along really well with the training staff here in L.A, so they use me for injury prevention and rehab with some of their players. And then I have, from years working in the NHL, guys who were in Edmonton like Jarret Stoll and Matt Green who have worked with me in the past. I’ve kept a working relationship with all those guys. I don’t want to take anything away from the Kings staff because they did a great job this year making sure those guys were ready to go at the end of the season and into the playoffs. Just talking to a lot of the players during the season, through the work that I do with them, those guys aren’t too surprised that they ended up at the top of the heap at the end of the season. They went through some weird times as far as losing some games, but I think the reality was that every player expected that team to be better than they were, so they lived up to expectations at the end of the season when the Stanley Cup was on the line. I think it’s even tougher on them now because everyone knows that team is for real and I don’t think anybody is going to underestimate them whenever this new season starts. I think they are such a stacked team on paper that they’re going to be tough to deal with. ATLX: Do you incorporate your sports chiropractic therapy work into your work with the athletes that you train? Do you think that your background in this field gives you an edge as a trainer, letting you see things from a perspective that other trainers might miss? Moreau: Yes, it’s a huge advantage. I can’t even tell you how big of an advantage that is for me. It’s such a huge advantage to be able to work with players hands on, really understand the body mechanics behind their injuries and actually take that information and apply it to a training design. It’s hard to put into words what that does because I think a lot of trainers would love to be able to understand the healthcare side of what’s happening with their players. My unique position is that my training and background in human biomechanics, being more of a sports-oriented chiropractor, I look at everything from an injury prevention standpoint. So everything I do with training players comes from the question: how do we keep this guy glued together in one piece, how can I make him a fitter athlete and a more durable athlete? Everyone says that’s what they want to do with athletes, but I get to see these injury patterns and I can put a lot of thought into how to prevent them. For me, that makes it really fun working with these athletes. I love the healthcare side of it. How do we get their bodies moving better? ATLX: What about the facility you work out of? Moreau: We have our main facility, which is in the Torrance/Lomita area. We’ve been there for eight years now. We have a training area there, treatment rooms, a couple other chiropractors who work for me – they use the same design with athletes that I do as far as injury assessment. And then we also use a training facility in Redondo Beach, especially in the summertime. It’s very nice, very roomy, gives us lots of room to do some of the group training that we like to do. So we have two facilities that we use. We go back and forth, and that gives us a lot of access to athletes. The nice thing about the beach cities and being in Redondo Beach is we have the whole Palos Verdes area covered and then we get the beach cities too. There are lots of athletes floating throughout those areas. ATLX: Do you work with players on their nutrition? Moreau: Yes, we do a lot of nutrition work. I think nutrition is huge. I think a lot of athletes and the general population really underestimate nutrition. There’s a lot of science behind a nutritional approach, but the reality is a lot of people don’t eat what they’re supposed to. I’ll do supplements with my athletes, but food intake is the most important part. Most athletes overeat. They have giant meals three times a day. That’s not the best way to eat. We use more of a timed nutrition intake plan where we have our athletes eat small meals frequently throughout the day. That’s not much different for non-athletes or recreational athletes. We tell people small meals are better for you because it’s usable energy, you won’t get excess calories, your insulin levels won’t jump up and kind of shut down your metabolism. We do small frequent feedings for athletes. Lots of fruits and vegetables. We want them to eat lots of greens like collard greens, kale, spinach, even dark romaine lettuce, because they get a lot of minerals like calcium, magnesium, and potassium in greens. If I could make all of my hockey players eat lots of dark green leafy salads and lots of fruits and vegetables, I’ve already given them an advantage over most of their competition. Most of their competitors are going to be eating lots of breads and pastas and fatty meats. Those foods are difficult to digest, for the most part nutrient-void, and they’re not doing themselves huge favors by eating foods like that. So if I can get into their head that if you’re an athlete you have to eat like an athlete, and if you’re disciplined enough to do it you’ll get away from crummy, nutrient void food, then I’ve done them a good service because they’ll get a natural performance advantage over their competition.